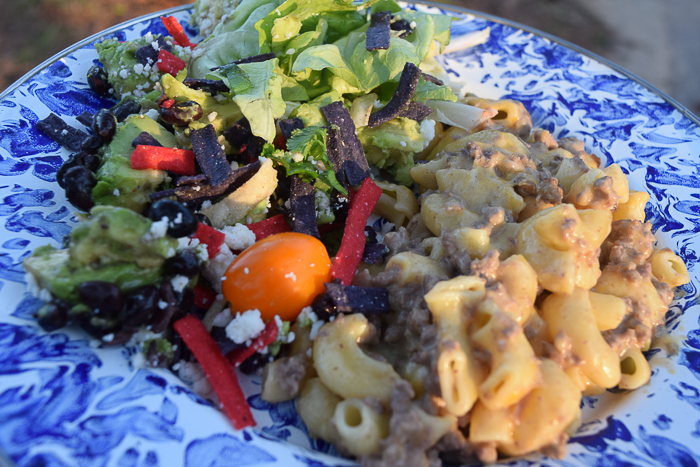 We tried this venison mac ‘n cheese recently and it was so delicious! Beef can be easily substituted for venison. 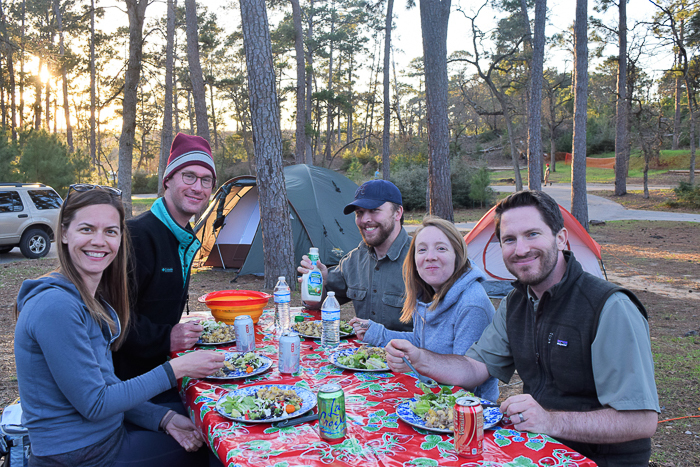 The best part is that there are only 4 steps, so you don’t have to waste time preparing food when you could be enjoying the great outdoors! 2 cups macaroni, cooked before you leave home! 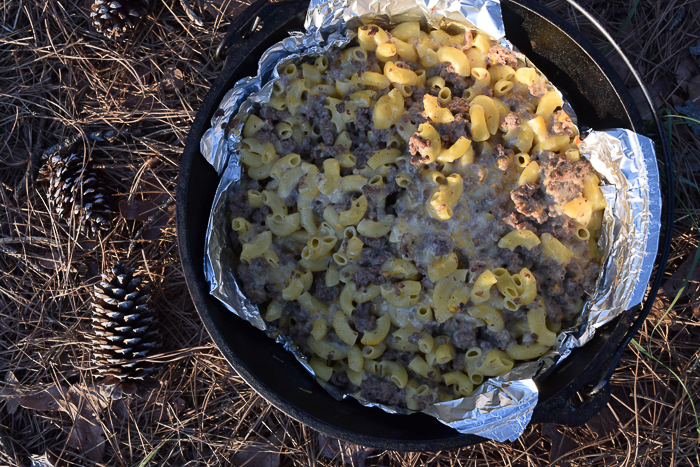 Cook venison and macaroni before you leave on the camping trip. Line bottom of Dutch oven with foil. 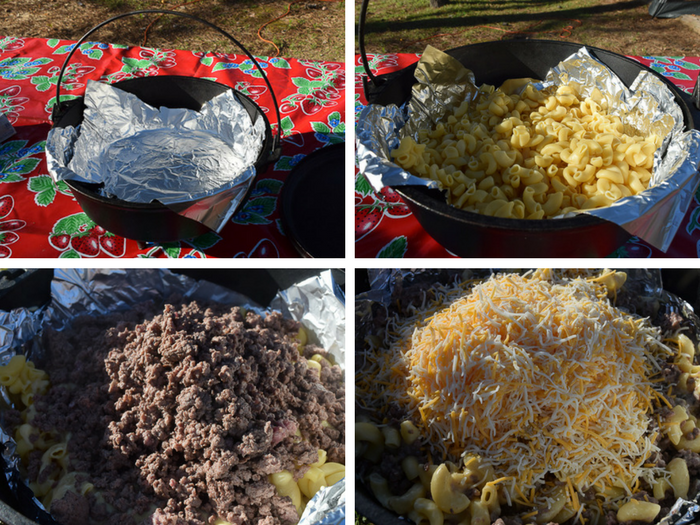 Mix all ingredients together in the Dutch oven and sprinkle breadcrumbs on top. Bake 30-40 minutes; use 10 coals on the bottom of the Dutch oven and 14 on top. Serve with a salad or something green for some color contrast. So delish! 6/6 hungry campers agree. No Replies to "Venison Mac 'n Cheese on the Dutch Oven"